Departing from Sorrento, enjoy panoramic views of Naples from Mergellina to understand why it is known as the ‘City of 1,000 Colours’. Try the traditional sfogliatella pastry followed by a well-deserved Espresso or Cappuccino. 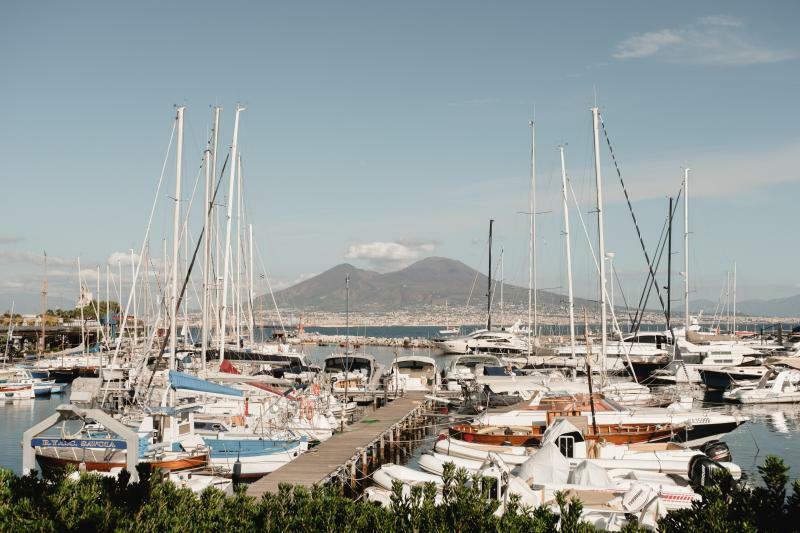 Walk past the Royal Palace of Naples, where the great Bourbon Kings once resided. Continue on to San Francesco di Paola, a beautiful church located at the Piazza del Plebiscito, Naples' main city square. Stroll through the beautiful Gallery of Umberto I, a public shopping gallery opposite the San Carlo opera house, the oldest opera house in Italy. After, you will walk around the old and lively street market of Pignasecca, full of flavours and calls from the stall holders and through the well-known ‘Spaccanapoli’, where you will reach the historic center. It will be a unique chance for you to walk on by churches and palaces of the historic centre, taste the ‘Cuoppo di frittura (a “cone” of traditional fried finger foods). Go to the Forcella district, and discover the artisans of San Gregorio Armeno and their nativity handicrafts.